Judge Kennedy brings to his dispute resolution practice over 45 years of experience as a judicial officer and as a practicing attorney. No one in the Intermountain area exceeds the length of his involvement in ADR matters as an advocate, mediator, and arbitrator. Headquartered in Salt Lake City, Utah, he serves parties primarily throughout the West. 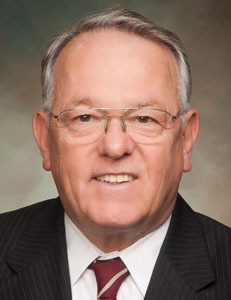 While on the bench of the Utah State District Court, Judge Kennedy was asked by other Judges to mediate difficult and complex pending civil cases. Over the years, as a lawyer and as a Judge, he developed extensive experience in hearing and settling cases in a wide variety of fields including contracts, medical and legal malpractice, real estate, wrongful termination, probate, adoption, and guardianship matters, construction cases, insurance coverage and bad faith claims, personal injury suits, business disputes, labor-management conflicts, civil rights claims, family law and domestic relations, taxation matters, and property boundary conflicts. While serving on the Utah District Court, Judge Kennedy was appointed to handle matters as a tax judge. Judge Kennedy litigated and mediated the largest-ever quiet title and partition actions in the United States (involving more than 2,000,000 acres). Before taking the bench, he worked with the past-head of the Federal Mediation & Conciliation Service to resolve a century-old inter-tribal dispute involving claims in the eight figure range. As a practicing attorney, Judge Kennedy participated in reaching the first mediated Labor-Management agreement for the Washington DC Metropolitan Transit Authority involving more than 7,000 employees and a package in the nine figure range. He has arbitrated more than 125 cases. Prior to being appointed to the bench, Judge Kennedy prevailed in a trademark case before the US Supreme Court with now Chief-Justice John Roberts representing the opposing party.